Minister - ‘Cameroon Did Not Kill 97 Nigerians’. 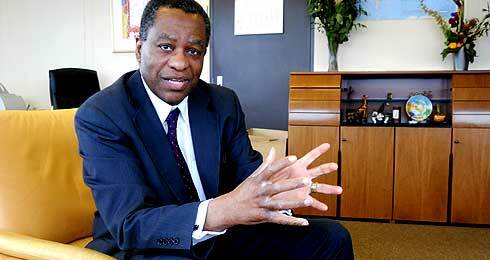 Mr. Geoffrey Onyeama, Minister of Foreign Affairs on Wednesday said there was no evidence of 97 Nigerians being killed by Cameroonian Gendarmes. Onyeama said the 97 deaths represented the accumulation of all the Nigerians that had been killed in previous events in the Bakassi region since 2008. He made the clarification before the House of Representatives Committee on Foreign Affairs, headed by Rep. Nnena Elendu-Ukeje‎, which is probing the incident. The minister who was represented by the Permanent Secretary in the Ministry, Mr Olusola Enikanolaye, revealed that independent investigation had shown that such killings did not occur. He further explained that the incident started following the deployment in July 2017 of a new Divisional Officer (DO) to Idabato sub- division of Cameroon to administer the Bakassi General Area. “On assumption of office, the new DO commenced the imposition of new taxes on the residents after a meeting with all the chiefs. “Accordingly, all men engaged in fishing and other business activities in the area were to pay N55,000, women. 30,000 and churches N50,000 per annum. “Furthermore, taxes on packets of fish were raised from N200 to N1,000. Butchers were to pay N1,000 per head for goats slaughtered by them. “The sanctions placed on the residents for violation of the tax rules include seizure of their boats and payment of 200 per cent of the initial tax. “This accounts for the N100,000 which was hitherto heralded in the news and initial reports as the amount of the tax to be paid by Nigerians”, he said. He said by the records of the Nigerian Mission, the deaths recorded were not caused by the Gendarmes. He added that some Nigerians fled their homes and headed for the Ikang Jetty “when the new DO threatened to use force. It was while they were on their way that some of them reportedly drowned”. “Unfortunately, the leaders who confirmed these assertions to the team had no corpse of persons drowned in the incident as proof of the manner of death,” he said.